The Escúchame Rugir Collective and the Peace & Justice Center will be hosting our annual benefit event supporting Women’s Health and Midwifery in the Zapatista territories in Chiapas, Mexico. The event is called K’uniltik: Liberación y Dignidad benefiting Women to Women, a project bringing women from our community to share skills and resources with women community health providers in the autonomous regions. Please join us for an afternoon of live music from Felix de los Gatos, pozole dinner, information and community at the St Francis Xavier Parish Hall from 4pm to 7pm on Saturday, November 15, 2008 located at 810 Arno SE. in Albuquerque. 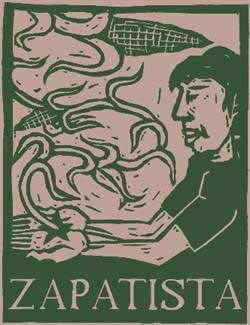 The Women to Women project has been working in solidarity with the Zapatista autonomous health project since the year 2000. We have been training women health workers on the general topics of women’s health, family planning, as well as the practice of gynecological exams including pap smears. Our most recent trips have been focused on the practice of midwifery. In spite of the many obstacles they face, a few of the women we have worked with have become important care providers in their regions, taking charge of municipal clinics and attending births. These women have expressed a need for further training as well as material support for ongoing care such as pap smears and birth kits. We are asking for your generosity in responding to this request for material support. Our goal is to raise $3000. This would provide a fund for pap smear testing which would allow for 20 pap smears for each of the 11 municipalities that form part of the region where Women to Women is working (that's a total of 220 pap smears), 2 small birth kits for each municipality containing the items they have requested (stainless steel scissors and cord clamps), and antibiotics for each municipality to combat infections which can lead to preterm labor. In the Zapatista territories, the idea of "parejo" is strongly promoted. This means an equal distribution of resources and support. In the region where Women to Women is working there are 11 municipalities, which means that all material support will be divided by 11, so that no municipality is left out. With this in mind, consider donating enough to pay for 11 (or 22 or 33!) pap smears. Each pap smear costs $5, so 11 pap smears would be $55. A birth kit with the items they have requested costs $22, so a kit for each municipality would cost $220. If you are unable to contribute monetarily, consider donating something for our silent auction! For more information contact: Sandra Ortsman: 505-610-4293 email to sandrita@riseup.net. Short Films about the Border. Come join us for an evening of work by filmmaker Steev Hise and his Tucson-based video collective, Pan Left, featuring a brand-new film about the environmental effects of the border wall produced for the Sierra Club. Wild Versus Wall ( Steev Hise, 2008, 20 min.) 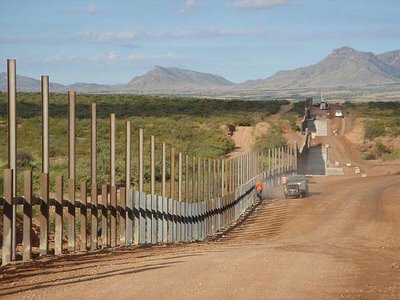 This film details the unique and diverse natural areas along the southern borders of California, Arizona, New Mexico, and Texas, and explains how they have been and will be affected by current and planned federal border policy and infrastructure, as well as the danger to our rights and safety imposed by sweeping new powers granted to the Department of Homeland Security. Sponsored by the Sierra Club Border Campaign. Breakfast Standoff at the No Borders Camp (Steev Hise, 2007, 7 min) In Calexico, California and Mexicali, Baja California, a unique form of protest and solidarity occurred in November of last year when activists on both sides of the border wall camped out for 5 days of demonstrations, parties, workshops, and meetings designed to bring attention to the oppressive qualities of the current border and immigration regime. This short tells the story of one encounter between Border Patrol and activists from that week. Palestine en Solidaridad (Jason Aragón, 2007, 5 min.) March 02, 2007. A delegation from Palestine visit the U.S./Mexico border with human rights group, Coalición de Derechos Humanos. Two border struggles come face to face as the Palestinians witness another border and find another injustice with similar intentions. Fiesta Binacional ( Steev Hise, 2007, 6 min.) The story of an annual cross-border party in the little town of Naco, Arizona and Naco, Sonora. Boundary Conditions ( Steev Hise, 2007, 22 minutes) An experimental video collage of a variety of found and original footage relating to borders and boundaries of all types. With live, improvised score by Tucson (via Puerto Rico) composer Jose Saavedra. Six Mayan leaders will be sharing stories of their work towards community empowerment in the aftermath of civil war through their projects in sustainable agriculture, micro-lending, gender equity and the defense of human rights. Join us to learn more about the Guatemalan project and how you can play a role to create a more just and sustainable future. This Maya run organization works to preserve traditional farming and building practices in rural Guatemala. The Association works in twelve villages, and offers classes in soil conservation, seed saving, animal care, traditional medicines, natural building, and community organizing. 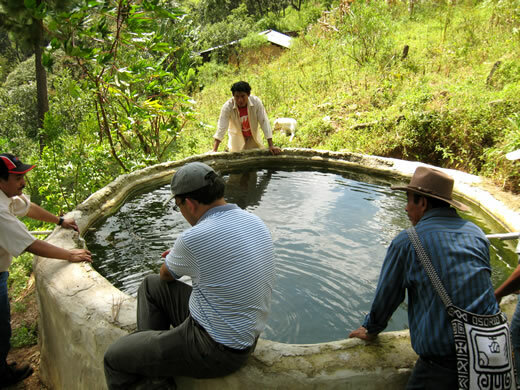 The Qachuu Aloom (Mother Earth) Association is a Maya run organization in rural Guatemala. Qachuu Aloom works to preserve traditional farming and building practices and to create economic opportunities for its members. Twelve villages, and two schools participate in the association, as well as two widows groups. Rabinal, and its surrounding communities were greatly affected by Guatemala’s 30+-year civil war. Villages were destroyed. Men, women and children were tortured, raped and killed by the Guatemalan military. Villages are still suffering from the effects of this violence as well as from extreme poverty and lack of access to resources such as fertile land to grow food, potable water, schools and medical care. To help combat this poverty and to help rebuild the community fabric, Qachuu Aloom offers many educational workshops in sustainable agriculture, community organizing, and local enterprise. We are greatly honored to invite you to attend two special celebrations at the Dooda (NO) Desert Rock (DDR) Camp at Ram Springs, New Mexico. The DDR Organization Christmas Party will be held on Wednesday, December 26, 2007, and the New Years Celebration will take place from December 31, 2007 to January 1, 2008. Since December 12, 2006, The DDR Deployment has made major news throughout the Navajo Nation and the world. The intrusion of Sithe Global, LLC, Desert Rock Energy Company and Dine Power Authority will not be successful as long as we have your support to continue our DDR Mission. Please bring a friend or family member to join us and help us maintain a solid team effort for the New Year. 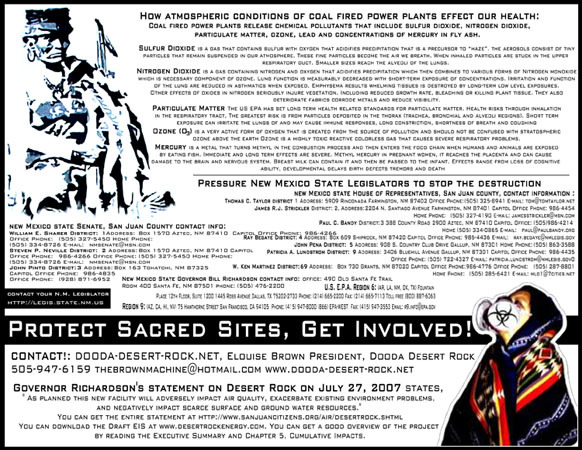 DDR Organization is a group of indigenous residents dedicated to stopping the ill-conceived Desert Rock Power plant proposed by the Sithe Global, LLC, Desert Rock Energy Company and Dine Power Authority. We believe economic development must not come at the expense of the health of our children, the air we breathe, our sacred land and water, and our way of life. As Navajo People, our work and dedication is centered on the Dine philosophy of Balance, Harmony, Respect and Equality. As children of Mother Earth and Father Sky, we are honored and obligated to protect and preserve the natural state of Harmony and Beauty. Our responsibilities are not limited to the four elements of life but all life that encompasses our very existence as humans. We aim to honor our fore-fathers, their teachings and wisdom against all desecrating entities, corporate intrusion and environmental injustices. We believe that your participation or donation will help support the whole DDR community, as we continue to learn, communicate, and move forward. Don't miss this great opportunity to help make a difference in the DDR Campaign! 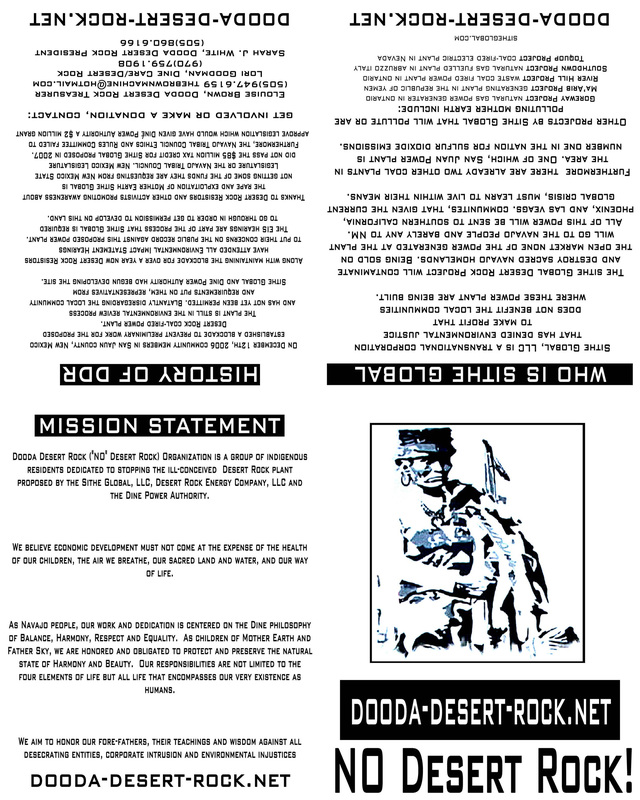 For more information, please visit our website: www.dooda-desert-rock.net. As a leading grassroots organization figure in this environmental challenge, we cordially invite you to join our efforts to stop the Desert Rock Energy Project (a 3rd dirty coal-burning power plant) in the Four Corners Area. We look forward to your attendance and participation! On March 10 and 11, 2006 a Traditional Agriculture Conference was held in Alcalde, New Mexico. Dozens of people from the greater region of many backgrounds were in attendance to participate in a seed exchange ceremony and signing of a Seed Sovereignty Declaration. This Declaration was drafted by members of the Traditional Native American Farmers’ Association (TNAFA) and the New Mexico Acequia Association (NMAA) who are the core of the New Mexico Food & Seed Sovereignty Alliance. Rancho el Peñasco, Sonora, Mexico Indigenous peoples from all over the Americas converge in solidartiy to unify indigenous peoples. Hosted by the Tohono-O’odham, who's nation is divided by the U.S. border, they welcomed the Other Campaign’s Karavana for the Oct. 8 – 9 regional indigenous conference. It was one of three other regional conferences to be held in Oaxaca, Oct. 4—5, Atlapulco, Oct. 6 –7 and Michaocan, Oct. 6 – 7, 2007. Those regional Indigenous gatherings preceded the Intercontinental Indigenous Summit in Yaqui Pueblo near Obregon, to be held Oct. 11—14. 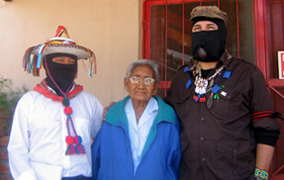 Photo Brenda Norrell/Comandante David, O'odham Elena Garcia and Subcomandante Marcos in Sonora, Mexico in 2007. The Trinity House Catholic Worker "Free Lunch Sunday" was interrupted yesterday at 1:22pm by Albuquerque Police Department Officers, at the behest of concerned local residents. Fortunately for the impoverished people sharing the meal, all were served before police politely asked the Catholic Workers to leave Soldiers and Sailors Park. Trinity House has helped organize volunteer groups to produce high-quality vegetarian meals for free since May Day 2005. The volunteers continued cleaning up the park and left ahead of schedule at 1:30 (instead of 1:45). The complaining neighbors had been camped out at the park for two hours, arriving simultaneously with the Trinity House portable toilet at 11:30am. Two local women claimed that a man was drinking a beer in public, and that such "illegal" behavior was scaring the neighborhood children. They then telephoned APD to request APD to enforce the rule that city parks can only be used if park users receive permission from the City in writing. Marcus Page, a Catholic Worker at Trinity House said, "APD officer Apodaca behaved professionally. He said he would gladly enforce the same law against Albuquerque Public Schools if any of us called the police to complain that APS does the same thing--feed the hungry in public places without a permit from the City." Citing city permit issues as well as completely unrelated issues, APD has only thwarted the Sunday Free Lunch once before--on July 1st 2007. A month prior to that, Trinity House began serving with a permit at Robinson Park, but the City is trying to stop Trinity House from acquiring a permit to use the public parks, because Mayor Chavez wants to remove all homeless people from downtown. Catholic Workers cited the emergency needs of hungry people and the U.S. Constitution's 1st Amendment as the reasons for conducting free lunch distribution (with or without a permit from local governmental agencies). Trinity House is nonetheless currently pursuing the two permits, in order to maintain good relationships with the troublemakers. CONTACT: Chelsea Collonge for more info (505 242 0497). "Sunday Free Lunch in the Park" resumes this weekend: July 29th 2007, after a few months of using privately owned parking lots for the potluck meals. Citing city permit issues as well as unrelated issues, Albuquerque Police coerced Trinity House Catholic Workers and other volunteers out of Robinson Park three months ago, where Trinity House had served lunch consistently for over two years. Patrons at the Sunday Free Lunch and Catholic Workers were happier in the public parks. After much deliberation, the Catholic Workers have chosen a park which is four blocks from Robinson Park. All are welcome at the Sunday Free Lunch at Soldiers & Sailors Park (14th & Central) every Sunday from now on @ 1:00pm until 1:30pm. note: Albuquerque Copwatch will be patrolling the feedings every Sunday. A group of activists from Albuquerque and all over have set up camp in the Mexicali region of Baja, Mexico prior to the arrival of La Otra Campaña. 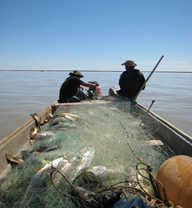 La Otra plans to arrive in support of the Cucapah and their fight to regain fishing rights taken by the government. 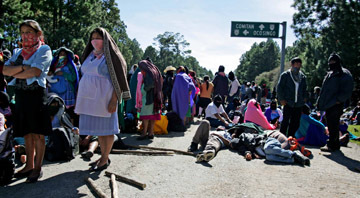 Because of increasing preasure by the paramilitary in Chiapas La Otra has been delayed but will arrive in Baja, as was announced by Delegate Zero in October of 2006. The camp is going as scheduled and the people are currently fishing. Although under the increasing harassment by local police. Activist from Albuquerque who brought down to Baja two converted school buses for the encampment were woken up at 3 am a few days ago and harassed by the police, as reported by a New Mexico Indymedia reporter on the ground with the encampment. NM Impeachment Resolution KILLED without even a Debate! Voters of New Mexico, if you think your legislature really has the best interests of your state or this nation in mind, you just might want to take a second look. It happened after NM Senators had successfully got the impeachment resolution through the three Senate committes designed to kill the measure. Democracy for NM-… SJR 5, New Mexico's impeachment resolution, was killed when it failed to get the votes necessary to move to the Senate Floor for debate … 9 Democratic Senators voted against debating the measure, including Senator Phil Griego from San Jose, NM … [Phil A. Griego, (505) 986-4861 senatorgriego@yahoo.com] … [Senators Altamirano, Pete Campos, Carlos Cisneros, Tim Jennings, John Pinto, John Arthur Smith, James Taylor and David Ulibarri.] They need to hear from plenty of their constituents. If Democrats won't even allow something this timely and critical to our nation's future to be DEBATED, why do they call themselves Democrats? -from Democracy for New Mexico- According to Steve Terrell, "the vote was 26-13 to uphold Senate Majority Leader Ben Altamirano’s ruling yesterday. Altamirano ruled on a voice vote not to accept the committee report of the Senate Judiciary Committee." We had previously been informed that the original maneuver to keep it off the floor was a Republican effort, but now we learn it was one of our TOP DEMOCRATIC LEADERS who kept it from a debate -- Ben Altamirano. I guess Ben and his pals didn't like to see all those citizen lobbyists up there, practicing democracy like Americans. And those phone calls and emails were so, well, irritating. So much easier to go to lavish dinner parties with lobbyists. Screening of "Progress at What Cost." The 55 minute version of this movie by John Sefick on the struggle over Desert Rock will be shown on Pccess Access Channel 27 Sunday January 14th in Albuquerque at 12:00pm. It can be also can be seen on the web at http://www.quote-unquote.org/. Please be patient as the Channel 27 live stream has a tentancy for delayed start times so give the connection 5-10 mins to start. Indigenous Communities and Human Rights Organizations Warned State and Federal Governments of Threats, but Authorities Failed to Act. Today, Monday, November 13, presumed paramilitaries committed a massacre in the Montes Azules jungle region of Chiapas, killing nine indigenous women and men and two children. The governor of Oaxaca, Ulises Ruiz Ortiz (URO) and his PRI cronies are struggling to prevent accurate information from getting out to the public. And Narco News is doing its best to make all the information known to readers around the globe. It’s long past the days when URO could say, “No pasa nada,” nothing is going on. Now he says, “There’s only one small area blockaded.” And, “this is a minority group,” disregarding the daily reports of confrontations and blockades in every region of the state. DEMONSTRATION IN SOLIDARITY WITH A.P.P.O. AND THE PEOPLE OF OAXACA IN FRONT OF THE MEXICAN CONSULATE, 1610 4th street NW AT 4pm TODAY NOV 6th! MANIFESTACION HOY NOV 6th EN FRENTE DEL CONSULADO MEXICANO, 1610 4th street NW, MANANA A LAS 4pm EN SOLIDARIDA CON LA GENTE DE OAXACA Y A.P.P.O. The war is on in Oaxaca. It began at 8:00 AM (11/2/06) with the gathering of the PFP and an infiltration by porros (hired thugs) along with state police in plain clothes. There are 5,000 PFP and many people if they're out there. The Rector of the university has called for unity and denounced the federal gov't. The University is an autonomous community. The radio is calling for pacific resistance but since the feds are using tear gas the people are pissed off and the report is that they are starting to use rocks and sticks. Several people have been arrested and wounded, including three children. A helicopter is there and presumably may airlift people to the airport for getting them into custody. The barricades are up in Cinco Señores and the area surrounding University City. Most of the barricades are cars and barbed wire. DEMONSTRATION IN SOLIDARITY WITH A.P.P.O. AND THE PEOPLE OF OAXACA IN FRONT OF THE MEXICAN CONSULATE, 1610 4th street NW AT 11AM THIS THURSDAY AND FRIDAY NOV 3rd! MANIFESTACION EN FRENTE DEL CONSULADO MEXICANO, 1610 4th street NW, MANANA ,NOV 3, A LAS 11AM EN SOLIDARIDA CON LA GENTE DE OAXACA Y A.P.P.O. Tens of thousands of people from Mexico City and surrounding states headed south today towards the beachfront resorts of Acapulco to celebrate Dia de los Muertos (Day of the Dead). It is one of Mexico’s most sacred days, when the dead are believed to walk the earth once again and return to visit their loved ones. It is also a national holiday and the start of a long weekend. 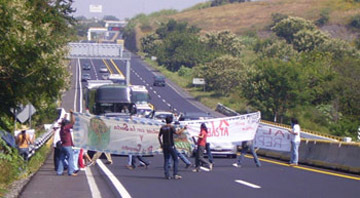 As leisurely tourists approached kilometer 114 along the Autopista del Sol Highway in the State of Morelos, near the town of Alpuyeca, thousands of motorists had to hit their brakes, suddenly coming to the realization that millions of Mexicans chose today to honor their dead not by going to the beach, but by demanding justice for those killed by paramilitary groups loyal to Oaxaca Governor Ulises Ruiz Ortiz, and by the Federal Preventative Police (PFP). The last few days in Oaxaca city have been filled with provocations and confrontations where agents of local police and municipal governments assassinated three people during a civil strike called for by the popular social movement coalesced around the popular Assembly of the Peoples of Oaxaca (APPO). Today, as reported by Narco News, the smoke has cleared but it is now evident that the PFP occupation is revealing the growing polarization within the populace. DEMONSTRATION IN SOLIDARITY WITH A.P.P.O. AND THE PEOPLE OF OAXACA IN FRONT OF THE MEXICAN CONSULATE, 1610 4th street NW AT 11AM THIS THURSDAY AND FRIDAY! MANIFESTACION EN FRENTE DEL CONSULADO MEXICANO, 1610 4th street NW, MANANA A LAS 11AM EN SOLIDARIDA CON LA GENTE DE OAXACA Y A.P.P.O. Paramilitaries attacked the barricades near Oaxaca's office of justice, in the Calicanto municipality. There are several injured and one person dead. Indymedia New York's reporter, BRAD WILL, was shot in the chest and died before he made it to the hospital; Oswaldo Ramirez, photographer for Milenio Diario, has also been shot and is injured in the foot. Last year's Halloween ride was such a hit, ABQ Ride has decided to do it again this year! For 2006, we've they've teamed with UNM Sustain for a truly super-natural event. So grab your best ride-worthy costume and get ready for a ride down Route "666." Meet up at the Triangle Park (police substation) at Monte Vista and Central as we award prizes for best costume, best dressed bike, and most sustainable/recycled costume. Then we hit the road through Nob Hill, Downtown, and Old Town. Those who have to tuck in their lil' pumpkins can take the Rapid Ride home while the rest of us tear like a bat out of hell to the starting point. This ought to be a phenomenal event! Download the flyers here and here. Special thanks to the Bike Coop for their sponsorship. The event takes place on Halloween (October 31) at 7pm. See you there! Eleventh annual national day of protest to stop police brutality, repression and the criminalization of a generation. 5pm Protest at 4th and Roma station in Abq. 6pm March through downtown. 7pm Community discusion vigil and memorial building of our dead followed by a screening of "Every Mothers Earth" at 8pm (929 4th st SW) With sign making the day before on Oct. 21 from 3-7pm at 929 4th st SW. Vecinos United 319-9241 nmvecinosunited@peoplepc.com ABQ Copwatch 268-1571 copwatch505@riseup.net WEAR BLACK! The social forum is coordinated by the international council and the organizing committee to provide the international social movements a space to deliberate strategize and unite on a broader basis on integration and face global capitalist neo-liberalism and create alternatives and solutions. The mission of the social forum process is to create an open space to provide for the organic integration of the social movements across intersecting lines and boundaries. The integration process of the social forum's self-organized events, panels and workshops builds bridges between organizations, movements, countries and continents strengthening a shared vision on systemic social change. Former Chiapas Bishop Ruiz Makes Second Visit to Oaxaca for National Forum he doomed “ex-governor” of Oaxaca, Ulises Ruiz Ortiz, has appeared on mainstream national Mexican television – both on Televisa and TV Azteca, the two major national networks. His grip on the spin is slipping. “Oaxaca is at peace,” “no pasa nada en Oaxaca,” are phrases no longer accepted even by the sycophants at Televisa. Events are curiouser and curiouser – or, leaving Alice behind in Wonderland, things are furiouser and furiouser. So I’ll start with the summary: repressions accelerate. A national forum was convoked to discuss “Building Democracy and Governability in Oaxaca,” but the title didn’t spell out the thinking behind that forum. Here’s a hint: the former Bishop of Chiapas Samuel Ruiz García made his second appearance in Oaxaca. Citizen Action New Mexico, a non-profit public interest group, has requested that the National Nuclear Security Administration (NNSA), the sub-autonomous agency under the U.S. Department of Energy (DOE), conduct a public hearing whereby Albuquerque residents can make comments on a plan proposed by the Los Alamos National Laboratory (LANL) to increase production of nuclear bombs, also known as “pit” production. ASK ELECTED OFFICIALS TO BE ACCOUNTABLE FOR HUMAN RIGHTS VIOLATIONS. Over 100 people are expected to attend the fifth weekly vigil on Friday, August 4 from 6:30 –8:00 pm., on Central Avenue and Wellesley. On July 22 there will be a benefit show at Out Ch'yanda theater/community space located on 929 4th st. (9 blocks south of Central). ADA collective is raising funds for a new locally owned and operated alternative bookstore in Out Ch'yanda. Proceeds from the show will benefit the bookstore, which carries alternative literature and goods that are hard to find elsewhere. The show will be featuring all local acts including Holiday Sail and Ammunition. Thousands of Police Surround the City Center of Oaxac, Mexico as Strikers Hold Their Ground. In a scene that is starting to look all too familiar in Mexico, the police attempted to disrupt the Oaxaca teachers strike in downtown Oaxaca City this morning. At roughly 3 a.m. a police helicopter flew low over the tent city where the teachers have been camped for the past 23 days and shot canisters of tear gas. Meanwhile, 3,000 state police armed with riot shields and clubs entered the chaos and tore apart the roughshod shelters where the teachers had been staying. During the course of the six-hour police intervention three people were reported to have been killed (this is unconfirmed), two women and one child. A Page of History: Are the Powers that be taking a page out of Aztec history? For nearly one hundred years the Triple Alliance of the Valley of Mexico (the Mexica, Alcohua, and Tecpaneca) performed human sacrifice in the name of religion and more importantly, economic empire. History is repeating itself. Radical Bookstore Collective in Albuquerque! Radical bookstore opening in Out ch'Yonda - Libre-ía “La Semilla” Our focus is on: people of color, radical childrens & young adult books, queer theory, feminism, resistance movements, gay and lesbian, new mexican resistance movements, appropriate technology, political prisoners, magonismo, spanish language radical literature, workers' stories, Xicano movement, working class history, african american history, local poets, anarchism, local writers and artists, radical thought and history, zapatismo, indigenous history and struggles, socialism, ecological struggles, zines, punk rock, hip hop, anti war, and anti imperialist materials. The bookstore will also provide a meeting and office space for the IWW, which is providing a mountain of books to the collective to start up. ALBUQUERQUE FUNDRAISER FOR THE PEOPLE OF ATENCO SUCCESSFUL ! Two weeks ago Free Radio Burque 96.9fm and the Albuquerque community sponsored a fundraiser for political prisoners of Atenco and Texcoco, Mexico who were violently evicted from a market in their community. The Fundraiser was successful well beyond our expectations and the donations have been send to the communities of Atenco where they are needed to help get people out of jail.Tune in to Free Radio Burque Friday, Saturday and Sunday, June 16th, 17th and 18th on 96.9fm starting at 1pm for an update on the situation in Atenco and highlights from the fundraiser in Albuquerque. This morning, June 14, some 3000 Mexican Federal Preventive Police attempted to disrupt striking teachers in Oaxaca's historical district. Sound familiar? On May 20, at 4:30, there was a rally in support Hands Off Venezuela and Cuba. Cars honked, some showed their disdain, but many knew where we stood. The extreme Christian movement Battlecry held rallies all over cities in the U.S. last week, including one in Albuquerque. In a prime-time speech Monday, May 16, Bush outlined his "plan" for border security. This comes just months after the Minutemen demanded Bush to authorize the National Guard's presence to secure the border. 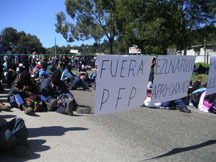 May 8th, 2006, a group of individuals met in front of the Mexican Consulate to show their disgust at the police-military actions against students, the Otra Campana (http://www.ezln.org.mx for more information), Atenco, Texcoco, Frente de Pueblos en Defensa de la Tierra, and other activists organizations. Thousands of Mexican Police try to evict flower traders in Texcoco which is close to San Salvador Atenco north of Mexico city. When people resisted the PFP (Mexican Federal police) responded by swarming Atenco with over a thousand officers. Over 200 people were arrested and two people were killed by Mexican police. Speculations are that the Mexican government is putting pressure on locals in order to promote the business of a Walmart which is to be built in the area. Already there is a Walmart built only one mile fron the sacred Aztec site of Teotihuacan. Thousands of people skip work and school as they call for May 1st, International Workers Day, to be recognized as a day of action against bill HR4437. In Albuquerque as many as 2,000 people demonstrated and celebrated at Tiguex park and Civic Plaza. Through out the course of events and in to the night the voice of the people was also being heard on Free Radio Burqy 96.9fm during and after the March. Cerca del medio dia, alrededor de 2,000 personas se convocarón atravez de los medios radioles, la Jefa y otras estaciones Hispanas, en el cruze de las calles 4th y Bridge frente del edificio "Hispanic Cultural Center." Se reunieron con el fin de encabezar una marcha a nivel nacional en repudió de las leyes de Immigracion que estan siendo debatidas en el Senado del EEUU. Estas leyes, que estan en suspenso durante esta fería de dos semanas en el Senado, tratan sobre futuras reformas que verian afectados a varios Immigrantes indocumentados y a personas que sepan de individuas en este estado y no den avisos a las autoridades pertinentes. Between 500,000 and 1 million people filled the streets of downtown Los Angeles on March 25th, 2006 to protest the anti-immigrant bill HR4437, which would make all 12 million undocumented people in the United States into felons as well as anyone who aids undocumented people in anyway. Families, labor, civic, religious and political groups came out strong in a mostly Latino demonstration, overwhelming all the organizers' expectations. City officials are saying it is the largest demonstration they have ever seen. Both the Mayor and the Chief of police attended the demonstration and voiced opposition to the proposed anti-lmmigrant law which is to be debated in the Senate being debated right now. This march came in the wave of many other large demonstrations against this bill taking place in Chicago, Washington DC, Arizona, and and Missouri. 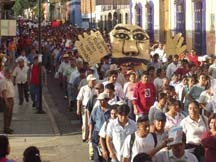 MERIDA, YUCATAN, JANUARY 2, 2006: Twelve years after the indigenous people of Mexico’s southernmost state of Chiapas rose up in arms with the banner “Liberty! Justice! Democracy!” the Zapatista Army of National Liberation (EZLN in its Spanish initials) chose New Year’s Day 2006 to send its spokesman and Insurgent Subcomandante Marcos on a six-month tour of every corner of the Mexican Republic. New Mexico Independent Media Center Television on Public Access Channel 27 for December 2nd 2005 featuring Iraq war veterans Tony Garcia and Tina Garnanez, both from New Mexico. They give testimony of their first hand experience in both Iraq wars. The decade-long fight to prevent a six-lane highway through the Petroglyph National Monument, home to thousands of ancient petroglyphs, may be coming to a new stage of struggle, as supporters march to pay homage to this sacred site. The Sage Council of Albuquerque has been struggling to stop irresponsible sprawl and the destruction of sacred and ancient Petroglyphs which are an extremely important part of Native culture here in New Mexico. En Mar del Plata, 81 personas fueron detenidas – entre ellas 76 ciudadanos argentinos y 5 extranjeros – según confirmó el Frente Antirrepresivo Marplatense, que junto a otros organismos de Derechos Humanos monitoreó la situación durante toda el día. Los detenidos fueron trasladados a la Alcaldía de Batán y a las comisarías 1º y 4º, esta última destinada a las mujeres y a los 12 menores apresados. Contrary to the official story, the USA is not one nation of many immigrants, but a prison of oppressed nations, including Latin@s. In the year 2004, another racist threat emerged against Latin@ and other immigrant workers: the Minutemen. New Mexico Independent Media Center Televison on Public access channel 27. Download the Mp3s from the latest show for October 21st 2005. Friday nights show includes guests: Patricia from Albuquerque Copwatch, Myra and Lucy from SOLAS and they will speak about the movement for justice for the masacred women of Juarez, Mexico. Also Bruce Milne a Bioneer from the UNM Sustainability program. 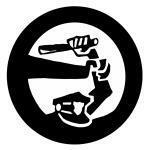 STOP POLICE BRUTALITY in NM, PARAR LA BRUTALIDAD DE LA POLICIA! This Saturday October 22nd there will be a rally to end the criminalization of a generation. Wear black! National day of protest! Build on our victories- Putting the issue in the public eye. Formation of the Police Oversight Commision. The formation of Albuquerque Copwatch. Statewide New Mexico Summit will address activism against the role of the military in the state of New Mexico. It will be held at the University of New Mexico October 21-23. The 2nd New Mexico Middle East Film Festival will take place October 7 – 13th 2005 at the Guild Cinema, 3405 Central Avenue NE in Albuquerque and October 8th and 9th at the Center for Contemporary Arts, 1050 Old Pecos Trail in Santa Fe. More than 50 people came out in ABQ. to show their support for fair trade. An event sponsored by the Fair Trade Imitative with volunteers from Students for Sustainability hosted an event today, Saturday October 8th, at Bandelier Elementary school. Several vendors and bands with dozens of enthusiasts enjoyed the sunny weather, good music and an elaborate martial arts demonstration. The Fair Trade Initiative was there to build peoples’ consciousness about trade practices in developing countries and how the United States consumer can help improve those conditions. Several other groups also came out to educate and inform attendees. Join us in Albuquerque and Washington, DC! Protest Military and Economic Violence! Stop the War on Iraq! September 24, 2005 in Albuquerque. March from Kirtland Air Force Base to Highland High School for a rally with speakers, live music, and more. Send our kids to college not combat. Meet at 11am, march begans at 12 noon. Hit the streets for global justice and against the Iraq war! As the World Bank and International Monetary Fund (IMF) hold there annual meetings on September 24th and 25th, there will be hundreds of thousands of people in Washington in opposition to the war. Let's make Paul Wolfowitz, architect of the Iraq war and current president of the World Bank, know that we have not forgotten about him as he adds loans and grants to his arsenal. FREE SPEECH = FREE MEDIA Join us in protecting community media and the publics's property. The telecomunicatations and cable giants are coming for what is left of free expression in this country! Three bills being introduced in Washington D.C. would make it nearly impossible for community televison, small internet service providers, publicity owned wireless networks and access to the latest communications technology by minorities and low income people rights of way would be severely impacted. The budgets of many towns and cities would be cut due to loss of revenue. Mine workers have been on an unfair labor practices strike since July 2 saying that ASARCO has not negotiated a new contract in good faith. 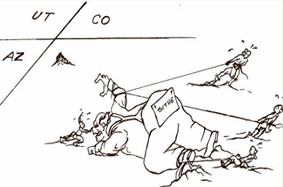 Last week, ASARCO filed for Chapter 11 bankruptcy protection. The company, which is now owned by Grupo Mexico, says the strike was only a small contribution to bankruptcy, citing large costs of environmental liabilities as the main reason. While copper prices are reaching a 15-year high, at approximately $1.70 a pound, some of the workers say they could run the company better than the bosses. Hundreds of organizations, led by the Los Alamos Study Group, will commemorate the first use of nuclear weapons in warfare with events in Los Alamos, the birthplace of the atomic bomb. Killer Ulises Since being sworn into office on the first of January, 2005 Oaxaca, México’s governor, Ulises Ruiz Ortiz, of the Institutional Revolutionary Party (PRI), has been making good on his promise to “do away with the social problems” (i.e. popular resistance) in the state. No matter how much they want to avoid looking racist, they are. They are holding their first recruitment meeting in Las Cruces Sunday July 10 at 2pm at Dickersons Barn 3900 W. Picacho. Come out and let them know they are unwelcome here.